February 27, 2016 October 3, 2018 / Steve M.
This title is an example of a rare book in poor condition, looking at it now I wonder why I purchased it. 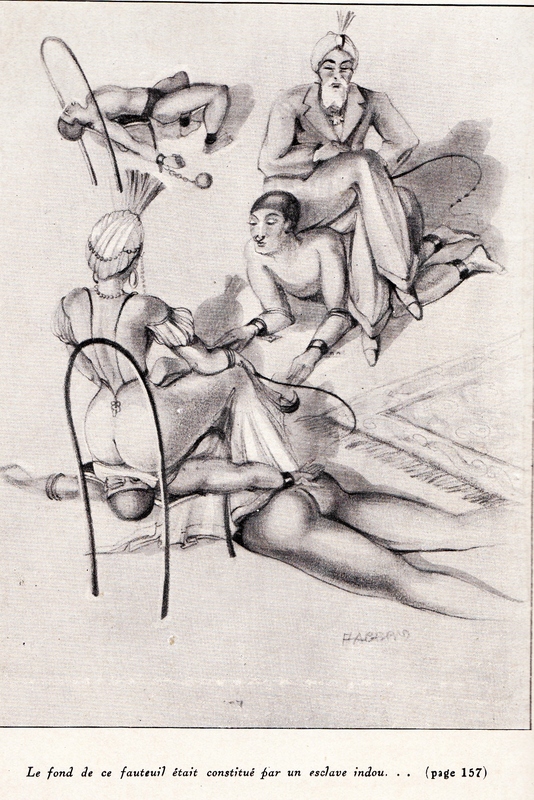 I have to console myself with the fact that is rare, and although the illustrations are poor, and one is damaged, they are amusing and unusual. 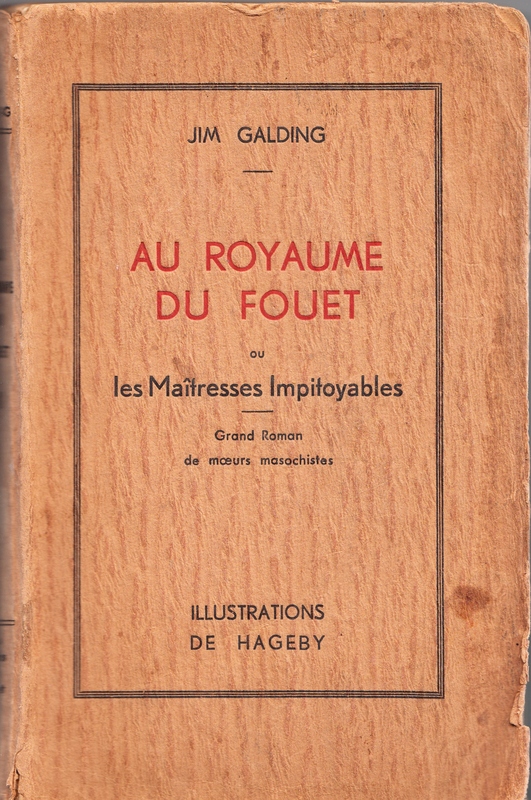 Jim Galding. 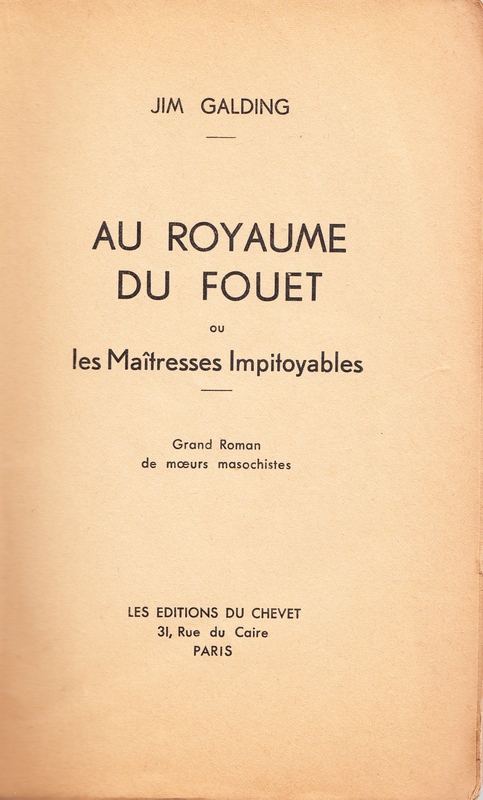 Au Royaume du Fouet ou les Maitresses Impitoyables; Les Éditions du Chevet. 31 rue du Caire Paris. s.d. , 208 p.p. 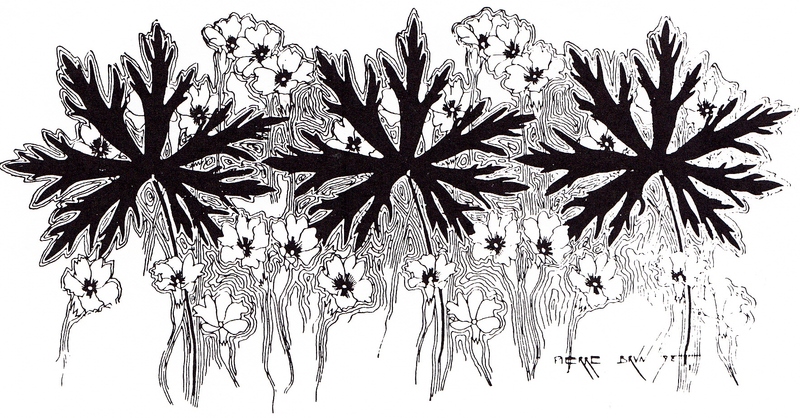 with 10 illustration hors-texte, by “Hageby”. ← Books for Trade: Your Assistance Required.